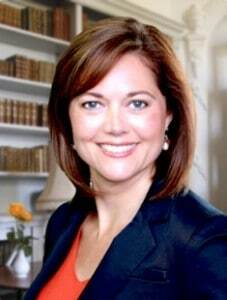 GM slides to third spot…sort of. 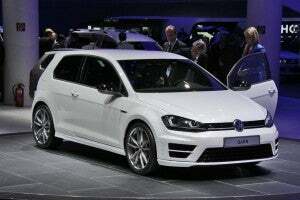 Volkswagen is laying claim to selling the second-most vehicles in 2013 behind Toyota and ahead of GM. Volkswagen AG reported it sold 9.73 million vehicles worldwide in 2013, which puts it in second place for the year well behind Toyota and slightly ahead of General Motors. Toyota sold 9.98 million units and while finishing third, GM sold 9.71 million cars and trucks. However, VW’s claim to second place isn’t quite so…simple. Three generations later, car is integral to maker’s US success. 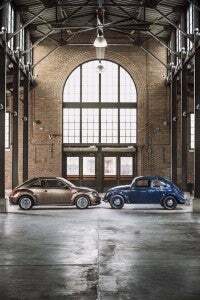 Volkwagen's history in the United States is captured in this photo of the 2014 Beetle, left, and the 1949 Beetle, right. One of the key elements of the German post-World War II economic miracle has reached something a milestone this month. The Volkswagen Beetle, one of the reborn German auto industry’s most enduring and fabled icons, celebrates 65 years since it first arrived in the United States. In January 1949, a Volkswagen “Type 1,” or Beetle, was shipped to New York City. Sent to Ben Pon, Sr., who was a Dutch businessman and the world’s first official Volkswagen importer. Maker holds contest to get ideas to test truck’s mettle. 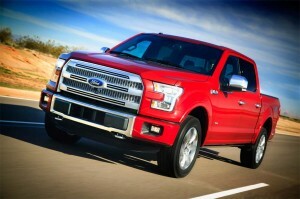 The 2015 Ford F-150 gets an aluminum body that the company will need to show potential buyers is still "Built Ford Tough." Ford Motor Co. has a lot riding on the introduction of the new 2015 Ford F-150 pickup truck. The best-selling truck for the last 37 years is moving to an all-aluminum body, which runs counter to the rest of the industry. But job one for Ford’s image makers is proving that the new truck’s aluminum body is as tough or tougher than the steel bodies used for rival trucks from Chevrolet, GMC, Ram and Toyota despite a legion of skeptics prepared to step up and say otherwise. Automakers likely to spend $72 mil to pitch football - and ad - fans. Volkswagen is just one of several automakers advertising during this year's Super Bowl at a cost of more than $72 million. Two days from now in an example of profligate marketing, Audi, Chevrolet, Ford, Hyundai, Jaguar, Kia, Toyota, Volkswagen and others will expend an estimated $72,000,000 – yes, that’s seventy-two millions of dollars – to run their latest 30-second commercials on the Fox broadcast of the 48th Super Bowl. Which means the time is costing $130,000 per second. Oh, and did we mention what Chrysler is likely to be investing if, as TheDetroitBureau.com has reported, they go ahead with another two-minute spot featuring the legendary Bob Dylan? Official Debut in Chicago on February 6th. 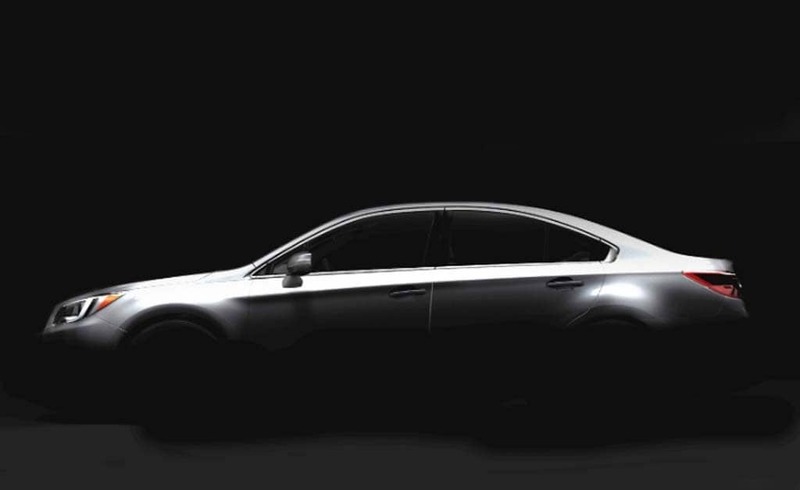 Subaru will bring out a new Legacy for 2015. With just a week left until the Chicago Auto Show, Subaru is trying to drum up some interest in the upcoming launch of its fifth-generation Legacy sedan. The maker has already rolled out a show car, the concept model revealed at the L.A. Auto Show last November offering a strong hint of what the production model will deliver to showrooms later this year. So, what are the likely differences? GM turns to Nissan for a helping hand. 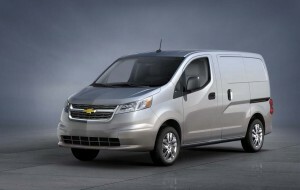 The 2015 Chevrolet City Express will be available in dealerships in the U.S. and Canada this coming autumn. One of the big reveals at the Chicago Auto Show next week will be the rollout of a new compact cargo van from General Motors – for which GM has turned to Nissan for a helping hand. The new Chevrolet City Express van, which is designed to compete with the new Ford Transit Connect, is aimed primarily at commercial customers, such as tradesman and small business owners in need of a delivery vehicle, GM officials explain. The new Chevy van could be converted into a people carrier, as well, and is expected to find a strong niche in the small van segment, which has been growing in recent years. Maker gets big boost from weakened yen. 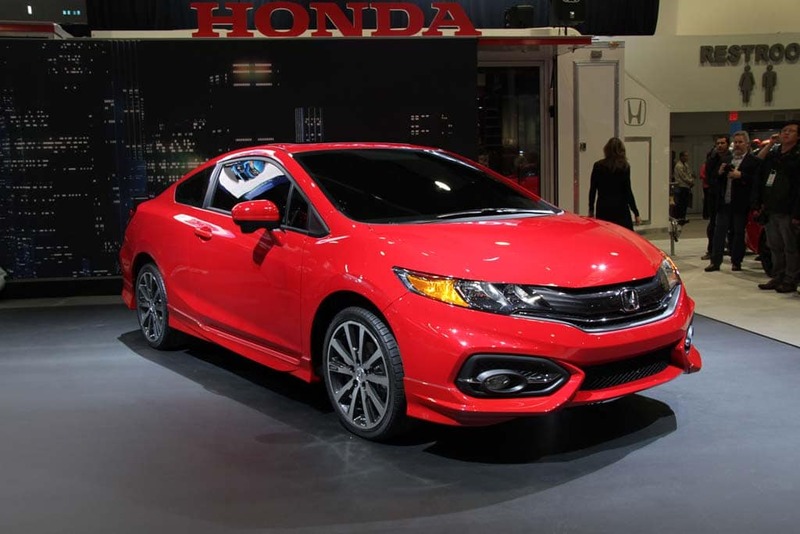 Strong demand for products like the Honda Civic Coupe combined with a weak yen to double quarterly earnings. Honda more than doubled its quarterly earnings, much of that gain driven by the weak yen, while also picking up momentum in key markets including North America. The maker reports it earned 160.7 billion yen, or $1.58 billion for the October-December period – its fiscal third quarter – compared with a 77.4 billion net profit during the same period a year ago. Honda has been steadily expanding its global manufacturing operations – it now produces about nine of every ten vehicles sold in North America in the region – but favorable exchange rates nonetheless helped the third-largest Japanese maker deliver such a strong quarter, the weak yen credited with adding $4.2 billion, or 425 billion yen, to its revenues for the quarter. But maker so far declining to order recall. Toyota's move impacts major models including the Avalon, shown here, Camry, Corolla and others. For the second time in recent years, Toyota has taken the unusual step of halting sales of almost its entire U.S. line-up due to a potential safety defect – however the maker says it currently does not plan to recall vehicles it has already sold. That could change, however, if federal regulators decide a recall is warranted, a move now under study by the National Highway Traffic Safety Administration. It remains to be seen how the public will view the latest problem which occurs almost exactly four years after the Japanese giant briefly halted sales of a variety of vehicles due to potential problems with so-called unintended acceleration. Today’s announcement covers such high-volume models as the Toyota Camry and Corolla sedans, as well as the Sienna minivan, and Tacoma and Tundra pickups. 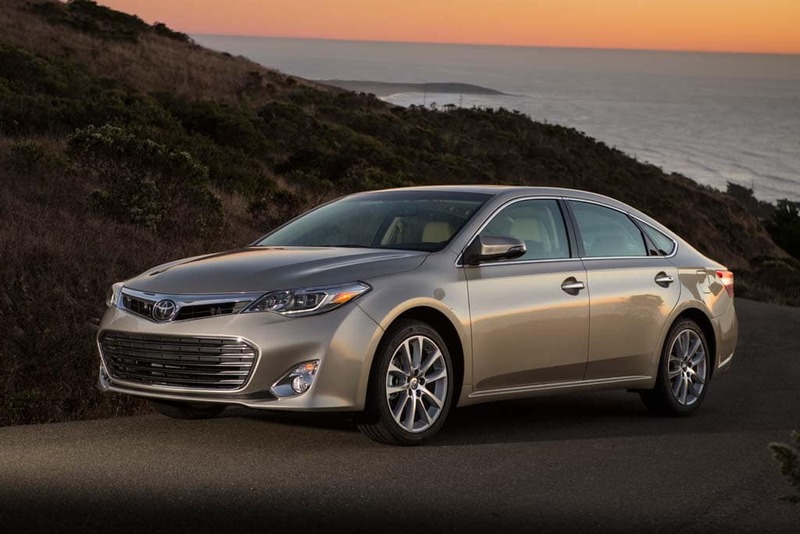 Also impacted are the full-size Avalon sedan and Avalon and Camry Hybrids. Only vehicles equipped with electric seat heaters are covered by the stop-sale announcement because they were manufactured with materials that did not meet flame-retardant standards. December is often cheapest month for insurance, study claims. Laura Adams, analyst for InsuranceQuote.com, said the key to offsetting month-to-month rate changes is getting multiple quotes. While most vehicle owners are used to seeing fluctuating gas prices – and trying to find ways to offset them – what they may need to pay more attention to is ever-changing insurance prices, according to a recent study. Depending upon the month and the state, insurance rates can vary by nearly 50%. Hawaii saw a 47.9% difference between its cheapest month, December, and its most expensive month, March, last year. Four-man team using only maker's supercharger network for trip. A team of four is attempting to set a world record by driving a Tesla Model S from Los Angeles to New York using only the maker's network of superchargers in just three days. Elon Musk, Tesla’s founder, has been threatening to take his family on a cross-country vacation in a Model S using only the company’s recently completed Supercharger network to power up the vehicle. But before he even powered up his car, one family’s already done it and a team of four is seeking to set a world record for the trip.